Santana Ramaswamy Temple is unique and is in Needamangalam. In the 18th century, Saraboji Maharaja Prathapasimha along with his wife Yamunambal took bath in the Saketha Pushkarini in front of Santana Ramaswamy Temple in Needamangalam. They were the childless couple who were blessed with children after praying to Sanatana Ramaswamy here. 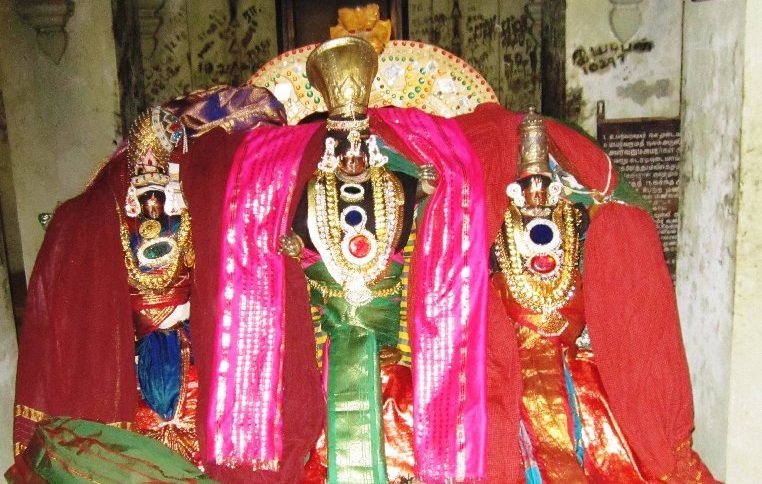 Hence this place came to be known as Neeradumangalam and subsequently Needamangalam. Vennar and Koraiaaru are the two rivers which flow on either side of Needamangalam. Saketha Pushkarini is in front of the Temple. Till date Childless couple pray for children and are blessed with children by Santana Rama swamy here. Couples first visit the Saketha Pushkarini in front of the Temple. On Rohini and Revathi Nakshatra days, people cradle the Santana Gopala vigraham here in order to be blessed with good children. 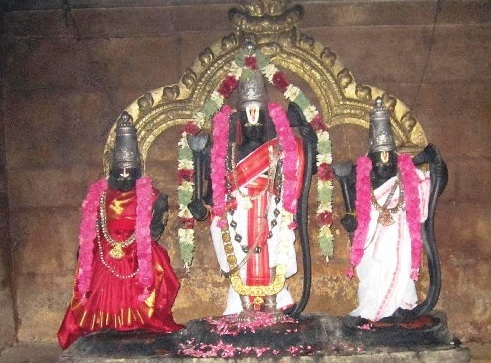 The Great Musician Muthusamy Dikshitar has composed a Krithi "Santana Ramaswaminam" in the Raaga "Hindolavasanta" praising the Santana Ramaswamy in this Temple.